The Penguins are looking to return to the Stanley Cup Finals for the first time since winning it all in 2009. The Lightning are looking for a repeat trip just a year removed from winning the Eastern Conference, but they've gone longer since winning the Cup than Pittsburgh has, with their only championship coming in 2004. 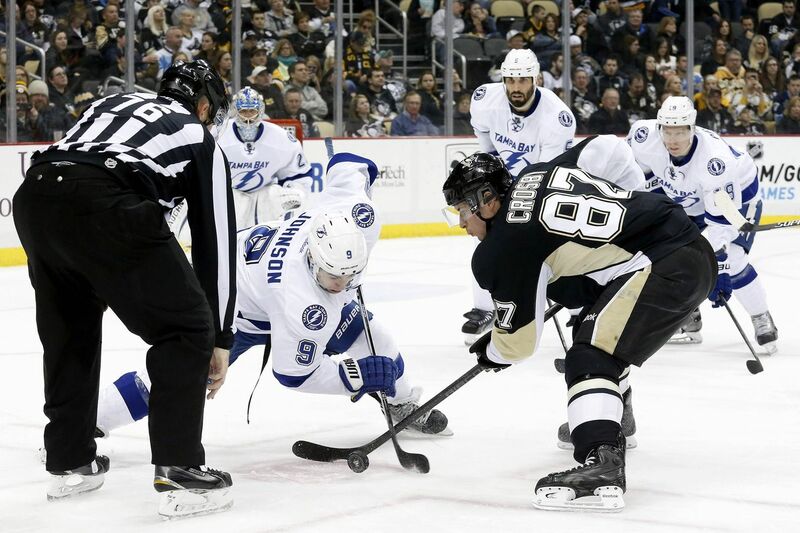 For the Lightning, they'll likely be without the services of their captain, Steven Stamkos, for the entirety of the series as he struggles to get medically cleared to return to action after doctors found a blood clot near his collarbone. While it was a bit of a disappointing season for Stamkos based on his lofty standards, his 36 goals still led the team in scoring, while his 64 points were second only to Nikita Kucherov. Kucherov followed up a strong sophomore campaign (29g, 36a) last year with nearly identical numbers this season (30g, 36a), hitting the 30 goal plateau for the first time, but it's been his play in the postseason that has been drawing attention. Through 10 games played against the Red Wings and Islanders, Kucherov has scored 9 goals and added 3 assist, tying Joe Pavelski for the league lead in goals in two fewer games. He's not the only talented young player excelling in the postseason, although Kucherov's success was easier to see coming. Jonathan Drouin was the 3rd overall pick in the 2013 NHL Draft, but to say that Tampa Bay has been cautious in his development is an understatement. Drouin was sent back to Juniors after being drafted, and he's been sheltered by Lightning head coach Jon Cooper when he's been in the lineup. He requested a trade earlier in the season, was demoted to Syracuse of the AHL, was suspended indefinitely for missing a game. He'd eventually return to the AHL team in March, and he was recalled to the NHL roster in April, scoring a goal in each of the last two regular season games before the postseason. He's played well through the first two rounds with 1 goal and 8 assists while averaging 16:59 per game (7th most among TB forwards), but his ice time decreased in the second round, and it'll be interesting to monitor whether Cooper trusts Drouin with ice time against a more dangerous opponent. One of the more intriguing factors in this series is going to be the play of the goaltenders. Ben Bishop was excellent in the regular season, posting a 0.926 SV% and 2.06 GAA on his way to his second career Vezina Trophy nomination, but he's been even better in the playoffs as his 0.938 SV% and 1.89 GAA are the best numbers of the four netminders left in the postseason. Right behind him though is Matt Murray, who has looked like anything but the 21-year-old rookie he is in managing a 0.935 SV% and 2.05 GAA since returning from injury in Game 3 against the Rangers. While Murray doesn't have the track record that Bishop has, he's been awfully impressive at the NHL level this season and has out-dueled Henrik Lundqvist and Braden Holtby to reach this point. - These two teams have met in the postseason once before, with the Lightning coming back from a 3-1 series deficit to win in the 2011 Eastern Conference Quarterfinals, but only Kris Letang, Ben Lovejoy, Chris Kunitz, and Marc-Andre Fleury suited up during that series and remain on the roster.